I’m very excited by HP’s recent announcements around 3D printing and immersive computing experiences. HP has overcome the barriers of speed, quality, and cost and laid the foundation of material innovation that will finally realize the promise of 3D printing and manufacturing. The first key advancement is an immersive computing platform – Sprout. 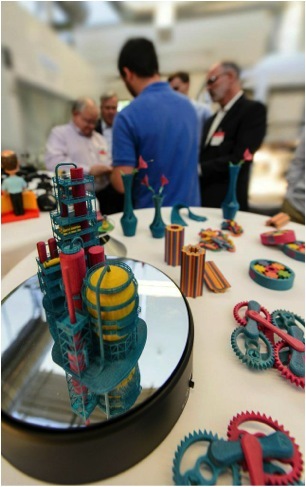 It allows us to realize the true potential of 3D printing, by enabling users with the ability to manipulate in 3D. Combining a scanner, depth sensor, hi-resolution camera and projector into a single device, Sprout allows users to take physical items and seamlessly merge them into a digital workspace. Users can easily bring things from the physical world into the digital world, to manipulate, morph and modify without keyboards and mice. HP Multi Jet Fusion was also announced – it’s a groundbreaking technology that improves the commercial viability of 3D printing. It allows you to print parts faster, for a fraction of the cost, and with greater material flexibility. Together, these advancements will enable anyone to create, make and distribute their products with more accuracy and finer details. We’ve been working on these advancements for the past few years, and I am very proud of the team for their work on these truly revolutionary innovations. Footnote: Indyapages.com, Business directory and free classifieds is not responsible for the authenticity and originality of contents post by its members.